Over 100,000 Syrian refugees have been returned to Syria since January, according to the Russian Ministry of Defence. 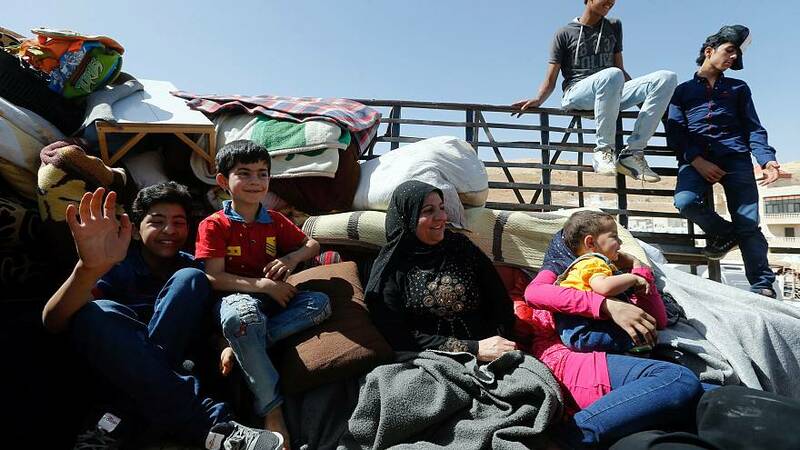 A similar operation to return 850 refugees has begun in southeastern Lebanon, according to Lebanese TV channel Al Mayadeen. According to the Russian Ministry of Defence, 101,976 refugees have been returned to Syria since January--232,792 “since the start of [the ministry’s] operation”, and 1,417,385 in total since 2015. Additionally, 336,500 more places have been prepared around the country for receiving and accommodating refugees, the Russian Ministry of Defence stated. The statement detailed a report of ongoing infrastructure reparations, as well as medical assistance and food supplies. “It is estimated that more than 1.7 million Syrians have expressed a desire to return home from eight countries,” the ministry stated. The largest number of potential returnees come from Lebanon, followed by Turkey, Germany, Jordan, Iraq, Egypt, Denmark, and Brazil. Last Wednesday, the Russian Ministry of Defence announced the establishment of the Centre for Refugee Reception, Distribution and Settlement through collaborative efforts between Russia and Syria. Its tasks, as enumerated by the ministry, include monitoring the return of refugees and temporarily displaced persons back to their places of permanent residence, organising and transporting humanitarian assistance to Syria such as building materials and food, and assisting Syrian authorities with the reconstruction of the healthcare system.